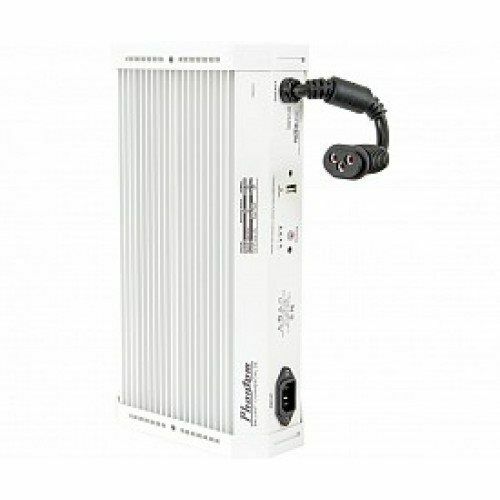 Enhance your indoor garden area with the Hydrofarm Phantom digital ballast. The Phantom offers the only vertical operation in the industry, saving space, while packing the punch of the most effective power-factor on the market, a high .98 out of 1. The Phantom II 1000 W Dimmable E-ballast from Monster Gardens operates below the radar, with its complete silence and low energy use making it almost fade into the background and letting your plants take center stage. Find a Phantom that fits your needs with 250, 400, 600, 750, and 1000 watt options available. All Phantoms feature a microprocessor, cooling fins, handle, rubber feet, optional positioning, dual resettable breakers, five year warranty, and a Lock & Seal universal reflector adaptor. Several versions of the Phantom also offer LED-indicator dimming. The Phantom's got your back with built-in protection. You'll find the system's reset buttons, which work as thermal cutoffs, vital in cases of an overheating situation. All Phantom units also provide built-in hot-restrike programming – never blow a bulb or burn your fingers again. Even with this safeguard, Phantom can still boast of the highest light output for maximum plant growth and unsurpassed reliability in the industry. The Phantom ballast runs both sodium and halide lamps, recognizes the difference between bulbs, and starts them up automatically. Switch between enhanced red of sodium and all-around spectrum of halide at any time. Conserve energy by reducing the amount of energy used at low light settings. Dim the ballast to your ideal grow room requirements and never waste an ounce of flower power. The Phantom also eliminates the need for multiple ballasts for different bulb wattages – the Phantom adapts to your needs. The amount of energy the Phantom consumes while it runs remains low, even with high lumens per watt output. 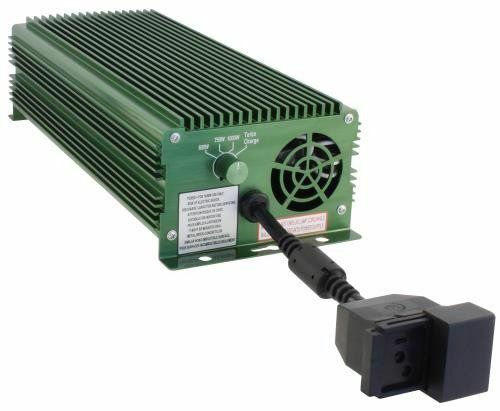 This digital ballast also weighs less and takes up less space than magnetic-style ballasts.The Phantom II Digital Ballast takes the reliability and engineering superiority of the original Phantom ballast and adds industry leading Smart Alert Technology, setting a new standard for excellence and functionality. The Phantom II is TOTALLY silent, energy efficient, reliable, and lightweight. Smart Alert Technology utilizes a 32MHz fully integrated microprocessor to keep your setup running smoothly. The Phantom has built-in hotrestrike programming to protect the lamp and ballast in the event of the ballast turning off unexpectedly. The ballast will not attempt to restart a hot lamp for at least 15 minutes. 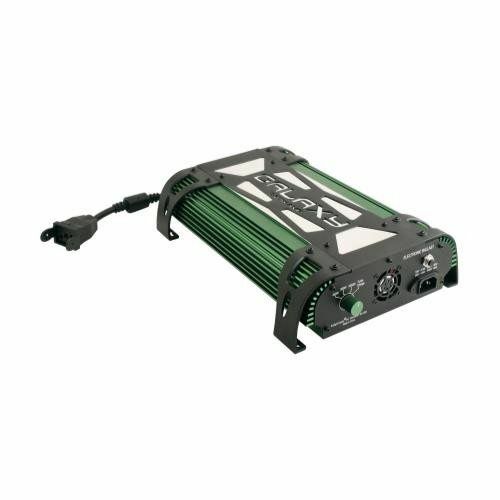 The Powerbox® Electronic HD Digital Ballasts from Monster Gardens are built for durability and reliability. Maximize your light output while lowering electrical consumption and heat generated due to electrical resistance. 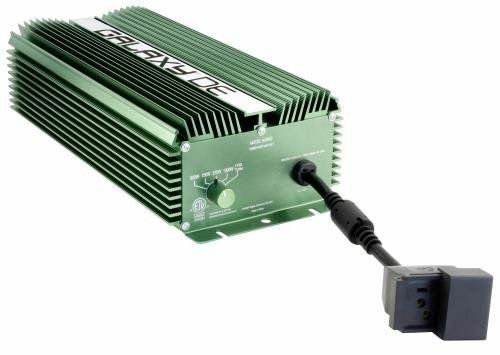 Powerbox® Electronic HD-1000 Digital Ballasts are designed in California and manufactured to the same exacting specifications that makes Powerbox inc. legendary for their quality and reliability. With a PowerBox ballast you get the most efficiency with the best safety features in one unit. Built-in Ignition Management senses bulb conditions downstream to determine and adjust to wattage conditions or bulb failure instantly. The Soft Start feature causes the ballast to send less power to your bulb than typical ballasts protecting the longevity of your grow bulbs. 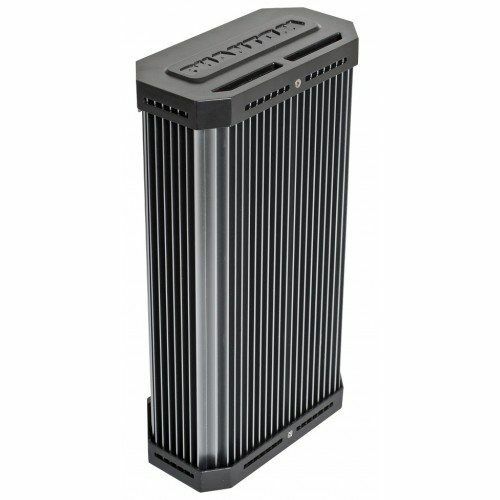 Made using over-sized heat sink fins and air channels for the best cooling of any non air-cooled ballast. Has no moving parts which creates low levels of noise in rooms running many ballasts. The highest quality circuit boards and thick guaged wiring is used in Power Box ballasts. Works with all Powerbox® lighting controllers. 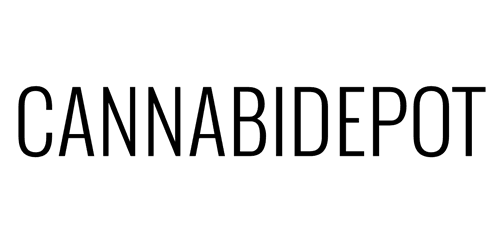 Safely Powers HPS, Metal Halide and even Double-Ended Bulbs. Soft Start Staggered Start-up to protect longevity of bulbs. Both 120 volt and 240 volt cords included in each box. Designed and tested in California. Manufactured in China to exact specifications. The Xtrasun Dimmable Digital Ballast is an ideal ballast for commercial or residential growing. Created with state-of-the-art microprocessor technology, this super-boosted ballast’s extruded aluminum body and cooling fins mean it will stand up to the toughest conditions. 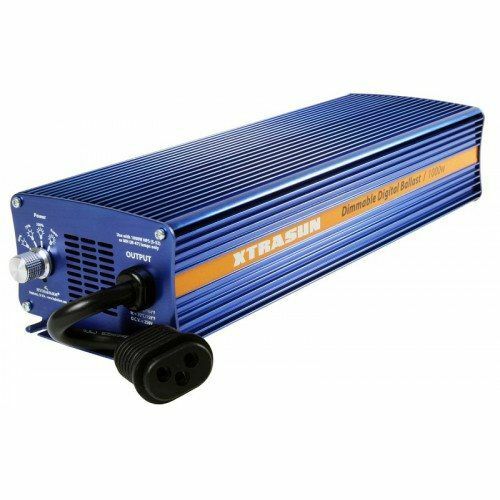 Available in both a 600 watt and 1,000 watt version, each Xtrasun operates on a 120V/240V, 50/60 Hz power supply and supplies four-mode dimming. For efficiency, the Xtrasun line of ballasts includes built-in hot restrike programming to protect your lamp and ballast in the event of the ballast turning off unexpectedly, such as in a power outage. Choose the Xtrasun ballast for a super-reliable, generator-ready way to dissipate heat with fan-powered cooling. Four-Mode Dimming Saves Energy: 60%, 75%, 100%, and Super Lumens with up to 10% more light! Extruded aluminum enclosure like the popular Phantom Series. Quantum Series Lighting is now the paradigm of lighting technology. Quantum Horticulture analyzed the mistakes and failures made by others in their quest for digital lighting, and utilized that knowledge to bring us the best in high intensity illumination. The Quantum Series digital ballast has features not found with any other brand of ballast currently on the market. Every need of both the hobby and professional gardener has been taken into consideration when we were developing these ballasts. One of the major factors that contributes to the purchase of digital lighting, is the increased power savings. The Quantum Series ballasts offers you a dimming switch that enables you to run your ballast at the strength YOU desire. This not only makes it easier to harden off young plants just being introduced to HID lighting, but also allows you to control your footprint and power usage as well. You can increase the power to your ballast as your garden grows and demands more light, and save yourself a substantial amount of money on your power bill over the length of your crop cycle. *3 year no hassle warranty! Galaxy® Grow Amp ballasts are engineered to properly power every major brand lamp in the industry. They are compatible with metal halide, single-ended HPS and double-ended HPS lamps. The 1000 watt ballast can operate a 1000 watt lamp at 600, 750, 1000 watts and Turbo Charge®. It will also properly operate 600 and 750 watt lamps. The 750 watt ballast can operate a 750 watt lamp at 600, 750 watts & Turbo Charge®. It will also properly operate a 600 watt lamp. The 600 watt ballast can operate a 600 watt lamp at 400, 600 watts & Turbo Charge®. It will also properly operate a 400 watt lamp. All Grow Amp’s come pre-wired with a dual universal lamp cord receptacle that is compatible with all Sun System® brand reflectors as well as other branded reflectors. The 120/240 volt models come standard with a 6 foot 120 volt power cord. This model (PHB4010) is capable of multi-voltage operation (120V/208V/240V), is generator ready, FCC-compliant, and comes with instructions, USB to RJ12 cable, RJ12 to RJ12 cable, RJ12 splitter, and an 8-foot power cord. This Galaxy® Select-A-Watt® ballast can operate a 1000 watt lamp at 600, 750, 1000 watts and Turbo Charge®. This ballast will properly drive 600, 750 & 1000 watt lamps. Set the desired wattage on the Select-A-Watt® dial and install the correct lamp. Comes pre-wired with a dual universal lamp cord receptacle that is compatible with all Sun System® brand reflectors as well as other branded reflectors. Includes a 6 foot 120 volt power cord. Purchase a 240 volt power cord separately (#903082). The Legacy® ballast runs on 120-240 volt power. 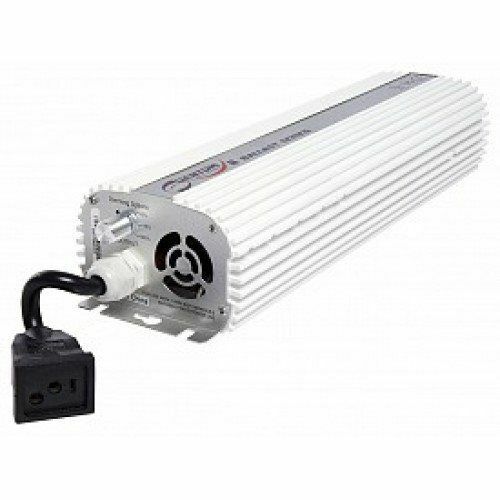 This ballasts has an extruded aluminum housing that is very lightweight. It features soft starting and fan cooling. The Legacy® ballast is extremely efficient at 99.9%. This state-of-the-art ballast is manufactured to provide today’s serious grower with maximum flexibility & performance. This is the latest addition to the Galaxy® Electronic Ballast line. Features High Frequency of 105 khz microprocessing technology for running double ended lamps. This Galaxy® DE Select-A-Watt® ballast can operate a 1000 watt lamp at 600, 750, 875, 1000 watts and Turbo Charge®. This ballast will properly drive 600, 750 and 1000 watt lamps. Set the desired wattage on the Select-A-Watt® dial and install the correct lamp. Very quiet operation and limited vibration. It has a thermally optimized non-fan cooled aluminum housing. Galaxy® DE ballast comes pre-wired with a dual universal lamp cord receptacle that is compatible with all Sun System® brand reflectors as well as other branded reflectors. Includes a 6 foot 120 volt power cord. Purchase a 240 volt power cord separately (#903088).